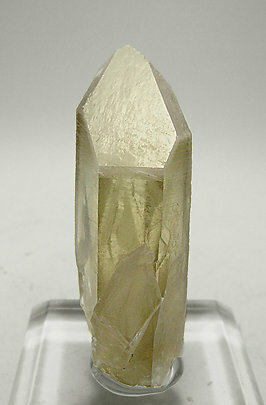 Transparent crystal, very uniform, natural citrine color and sectorial color zoning on terminal faces with an enlargement of one of the rhombohedron faces. A Spanish classic. 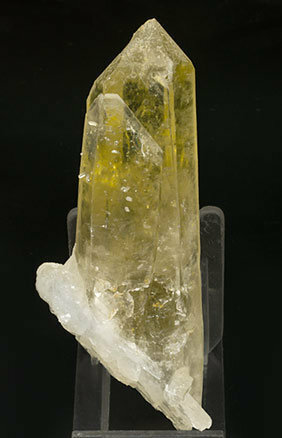 Transparent crystal, very uniform, natural citrine color and sectorial color zoning on terminal faces. A Spanish classic. 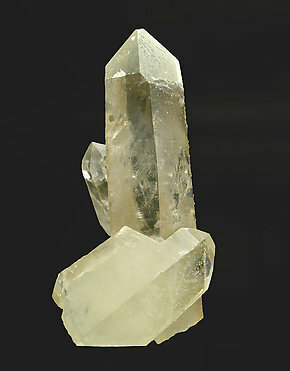 The definition of the crystals, free of damage, is perfect. Its yellow color is not very intense but is uniform and clearly visible. 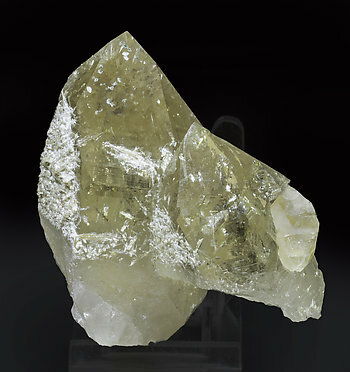 The specimen is from a recent find in a classic Spanish mine, very well known in the past by its natural citrine Quartz, but where no significant samples had been found for a very long time. 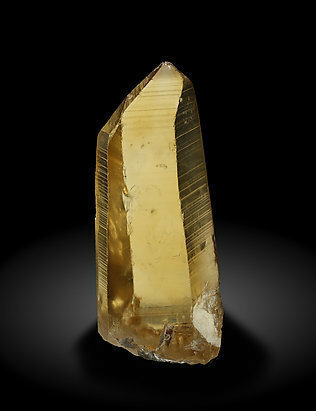 Quartz crystals in parallel growth with very well defined faces and edges, transparent and bright, with inclusions, and with an intense yellow color that has areas of different color intensities and shades. From a new location not known until now come these limpid citrine Quartzes with an extraordinary color. Many of them have small dings, this one in particular also has some, but in any case its color is so beautiful that I think it can be forgiven. 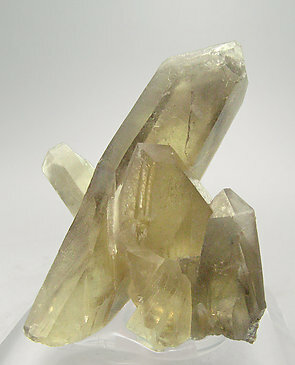 Group of two transparent and very bright Quartz (citrine variety) crystals with Calcite and partially coated by acicular, greenish-white crystals of the Clinozoisite-Epidote series.